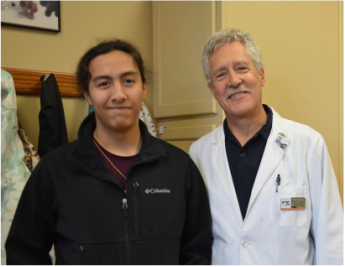 NAHS has partnered with the University of Minnesota and the Leech Lake Band of Ojibwe in 2016 to conduct VetCamp, an interactive program for students in grades 9-12 who are interested in veterinary medicine. Developed and taught by students at the University of Minnesota College of Veterinary Medicine and sponsored by the Minnesota Veterinary Medical Foundation, this three-hour live program educates students in grades 9-12 through interactive hands-on learning activities and games. Participants will take part in a "Choose Your Own Adventure" style of case study where they will have to work to save a fictional patient who has arrived at the veterinary clinic. In this activity, they will act as the veterinarian and use models to practice real clinical skills. Participants will also learn about public health and disease control, pet obesity and body condition scoring, foods and common household products that are toxic to pets, some popular veterinary careers, what it takes to get into veterinary school, and much more!